cleanliness and economy of vent-free gas space heating combined with the beauty and convenience of gas logs. The Beauty of a wood fire with none of the work. Nothing compares to the warmth and the charm of an open fire in the fireplace. Through its engineering, IHP has created logs that beautifully duplicate real wood, a coal bed with a deep comforting glow, and a flame that dances and flickers like a wood fire. You won’t be able to tell the difference. The Convenience of Gas Flames with a flip of the switch. While nothing compares to the charm of having a fire in the fireplace, there is little joy in the time and mess of making a regular wood fire, and cleaning up the ashes afterwards. 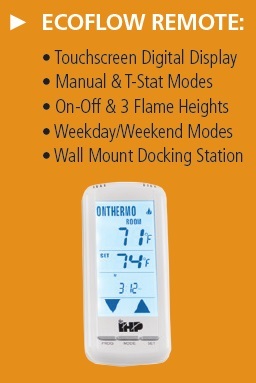 Select Superior Vent-Free Gas Log Heaters even have optional thermostatic remote controls for maximum comfort and convenience. Efficiency of Vent-Free Heat your home for less Superior’s unique, clean burning design provide 99% heating efficiency, allowing you to operate the logs vent-free with the fireplace damper closed. With no venting required, there is no heat loss up the chimney. Plus heating with Supeiror Gas logs means you'll never again be left in the cold with wet logs or without heat during a power outage. Ordinary vented gas logs operate at approximately one third the efficiency and twice the costs, requiring the damper to be open, allowing beneficial heat to escape. When it comes to real comfort, efficiency and savings-Superior's Vent-Free Gas Log Heaters leave ordinary gas logs in the cold. 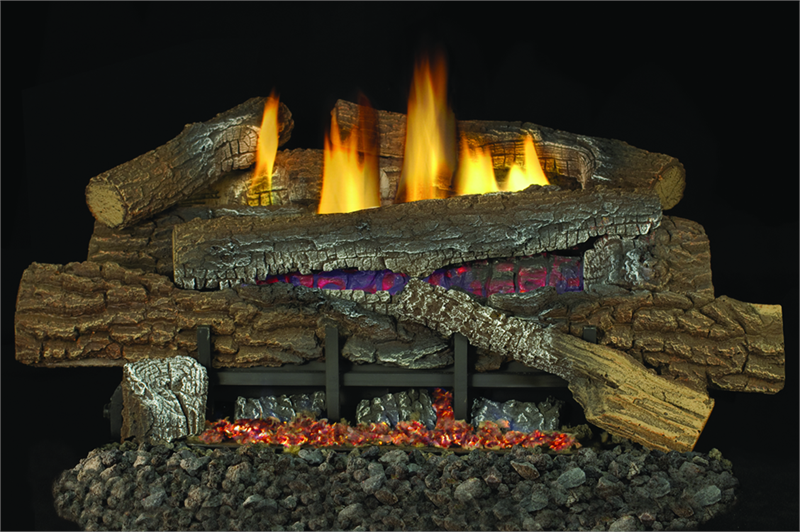 Superior's Boulder Mountain Oak Vent-Free Gas Log Heaters feature a unique slanted burner system that offers the most glow and realistic yellow flames in the industry. 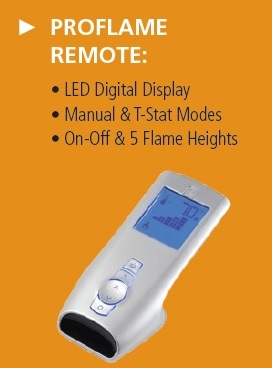 Multi-log ceramic fiber and refractory concrete designs are available in 18", 24", and 30" models with variable manual, remote "ready" or thermostat controls. These Burner Ramps come with Loose Embers. Superior brings to its gas log heaters the ultimate in convenient ignition. The "Auto Light" Easy Ignition System is simply a battery-powered continuous spark system that lights the log's burner faster and easier. The single AAA battery is easily accessed from the front left side of the log set. This breakthrough in convenience is found on Superior's Boulder Mountain Oak Concrete Vent-Free Gas Log Heaters. 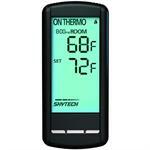 Available control types vary depending on the Vent-Free Gas Log Series you choose. Flex lines come standard with ALL vent-free gas log heaters to simplify installation. Use with adequate air (ventilation) only. Humidifies while it heats. Provides water vapor in the area heated. Refer to owner’s manual for specifics. Product cannot be converted between fuel types. The only warranty we offer is our standard warranty. All accessories have a one year warranty. Installation must be done by qualified service persons. Read Owner’s Manual before using. Vent-free gas products are prohibited for bedroom and bathroom installation in Massachusetts. All products approved for manufactured (mobile) home installation. Operating heater at very high elevations could cause nuisance outages.